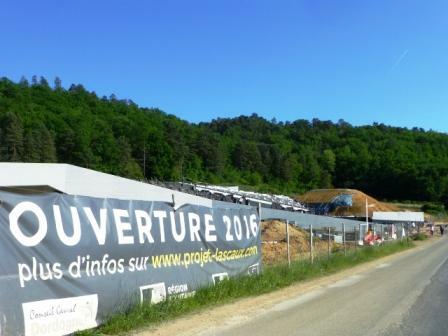 Looking around Montignac and the Lascaux 4 site right now, it is hard to imagine that the 63 million euro project will be open for business this year! But the official opening date has been announced – 15th December 2016 – Christmas come early, maybe? Lascaux 4 opening 15 December 2016! It is hard to believe that this building site will be open for business 15 December! 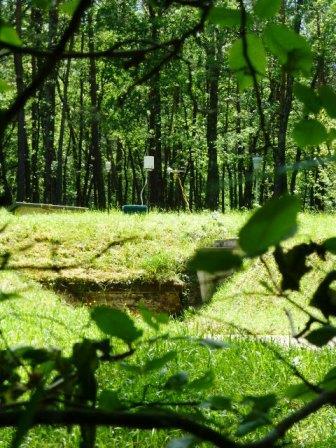 The original site of Lascaux was closed in 1963 because it was deteriorating due to over-visiting – following is a chronology of the discovery, the closure, the opening of Lascaux 2 culminating in the opening of Lascaux 4. Known as the ‘Sistine Chapel of Prehistory’ this world famous site was given UNESCO status in 1979 – Picasso is said to have exclaimed “we could teach them nothing” after he had visited in the early 1950’s. On 12 September 1940 four teenagers (Marcel Ravidat, Jacques Marsal, Simon Coencas and Georges Agniel) are credited with discovering Lascaux – but it would be more accurate to say Marcel’s dog, Robot, was the discoverer! Being curious, as dogs are, he investigated a hole in the ground and got stuck. When Marcel went in to rescue him, to his amazement he saw a scene of painted bulls. The boys came back a couple of days later to explore and saw the scenes not only bulls, but also horses, deer and bison!The rest, as they say, is history. Later that year, Lascaux was given Historic Monument status. 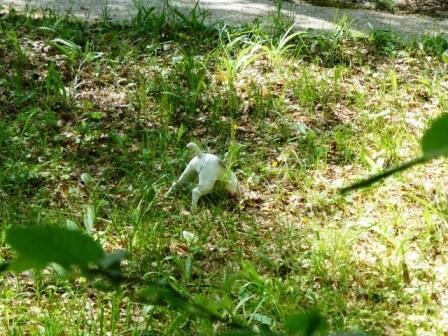 We spotted this near the Lascaux entrance – is it Robot’s memorial?!!! Visitors flocked to the site – eventually over 2000 visitors a day and this inevitably took its toll on the fragile environment of the cave which had been sealed and protected for so many thousand years (the paintings are 17,000 years old!). The conditions which had kept the paintings in a stable condition and wonderful state of preservation were completely thrown off balance – lichens and limestone crystals started to form on the paintings. On the 20th March 1963, Andre Malraux Minister for Cultural Affairs, announced the closure of the cave to the public. Visits were strictly limited to 40 minutes to only a handful of people per week, but sadly it was too late—the deterioration could not be stopped. In 2008, the cave was closed to the public completely. Sadly, further errors of judgement were made in more recent years and the decline continued. It has to be said, that a lot was learnt from the ‘Lascaux Experience’ – this was a first, unexplored territory. For example, no-one really knew what would happen when lights were introduced which has been the cause of some of the problems. The heat produced by them, aggravated the situation. But it is because of what was learnt at Lascaux that, for example, Grotte de Chauvet has been so sensitively handled and on his first inspection Jean Clottes, the Chief Inspector of Cave Art in France, announced that the cave could not and would not be opened to the public in the interest of protecting the images and the environment. The closest you can get is to the cave entrance, securely fenced and protected with security cameras. In 1979, UNESCO listed Lascaux as a World Heritage Site along with 147 archaeological sites and 25 other decorated caves from the Palaeolithic age in the Vézère Valley. The decision had been made to build a facsimile and on 18th July 1983 Lascaux 2 was opened. The original Lascaux is located further up the same hillside. 90% of the cave paintings were included – including the Hall of the Bulls which surely must be the most iconic image of Lascaux. Since it opened in 1983 over 10 million people have visited Lascaux 2! This photo shows the exit from Lascaux 2 – now doubt nowadays it would be more interestingly designed. The entrance is higher up the site, through the white domed structure. A touring exhibition of scenes from the original not included in Lascaux 2 had its unveiling in Bordeaux—it included images from the Nave (for example, the Great Black Cow, the Swimming Stags and the Back-to-Back Bisons). It then toured Chicago, Houston, Montreal, Brussels, Paris, Geneva, Korea and Japan. New technology was used for the creation of the panels and patented as ‘veil of stone’ technology in 2013. 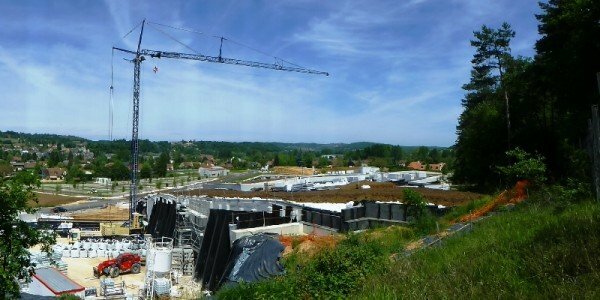 The focal point of the new centre will be the reproduction of the cave of Lascaux housed in the Centre International de l’Art Pariétal in Montignac. State of the art digital technologies will be used for presentation and interpretation. We find it hard to imagine! But this video clip gives a very good idea – the narrative is in French, but the pictures tell the story. Zone One—the observation deck on the roof of the building from where views of Lascaux ridge can be seen. A sloping path (as if walking along the edge of the forest) leads you to the entrance of the replica. The idea is to recreate the experience of the 4 young discoverers when they found the cave in 1940. Zone Three where state of the art digital technology explore the significance of the Lascaux art in historical and cultural terms. Zone Four – a chronology of the work of the 19th century prehistorians through to the present day. Zone Five compares the Lascaux art with that found worldwide. Zone Six explores and compares cave art and modern art in an interactive gallery. Zone Seven which will be a temporary exhibition space. So there it is – to be honest, call us old fashioned (or archaeological!) but we have a feeling we are going to prefer the smaller, more intimate, more cave like experience of Lascaux 2. We recommend visiting whilst Lascaux 2 is still available – we don’t think Picasso would be so moved by the new site, although the artwork will be just as good, or maybe even better! Come and check it out for yourself – we will be, that’s for sure and we hope to be pleasantly surprised! 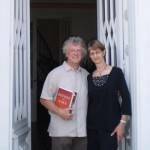 PS We have just heard ‘on the grapevine’ that the opening will not be until March 2017…… watch this space!